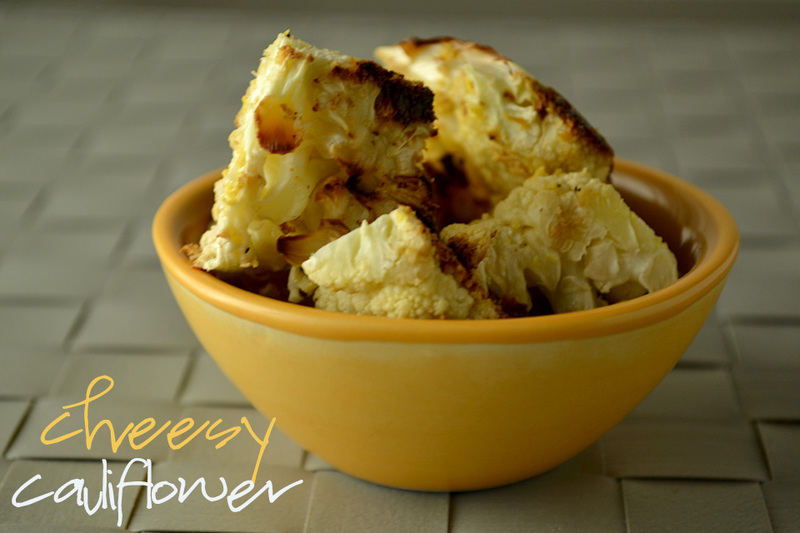 I will completely admit it – Cauliflower isn’t my favorite food. Are you shocked? It just isn’t something I go running to. But this cauliflower? Yep. Totally worth it. Perhaps it’s my cheese addiction shining through – but I can eat a whole pan of this stuff without blinking. No plate needed. Just give me the baking sheet. 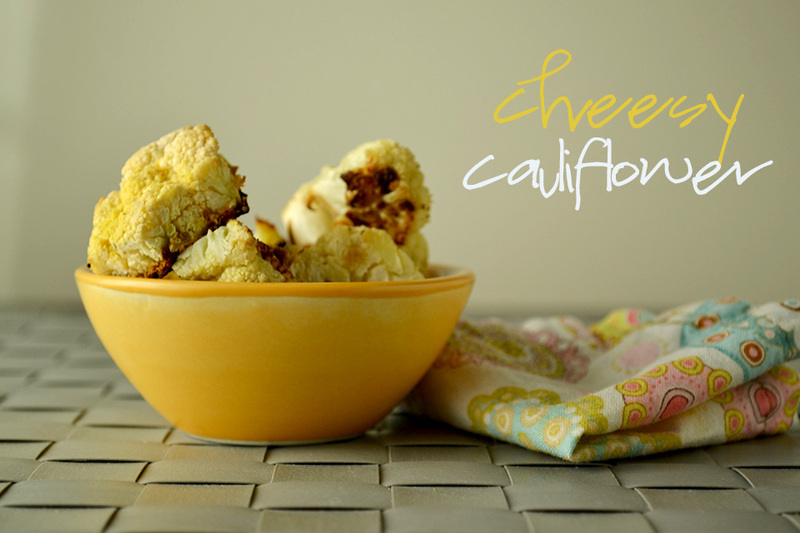 This Cheesy Cauliflower gets its cheesy taste from nutritional yeast. If you are new to a dairy-free lifestyle, you’ve probably never even heard of nutritional yeast [don’t worry – it was a new ingredient to me too a few years ago!]. Here is an excellent post by Susan at the Fat Free Vegan with lots of details about nutritional yeast. The short story? It’s a a little power house of nutrients that pack a big cheese flavor – but without the dairy. Sounds suspicious, I know, but trust me. It’s worth its weight in gold! Bake for about 15 – 20 minutes, flipping the pieces half way through. Watch carefully to make sure they aren’t burning – as different size pieces will cook at different rates. It is done when it is slightly crispy on the outside. This recipe was included in Allergy Free Alaska’s Gluten Free & DIY roundup. Click here for other awesome recipes! This recipe was included in Gluten Free Easily’s Gluten Free round up. Click here for other awesome recipes! They’re great! thanks for stopping by!